Product code: ES3868 Categories: Sold Items, Sold Jewellery. So elegant and refined, this antique pearl and ruby bangle sits perfectly on the wrist and has such an elegant look to it made all the more charming by the warmth of the rose gold. 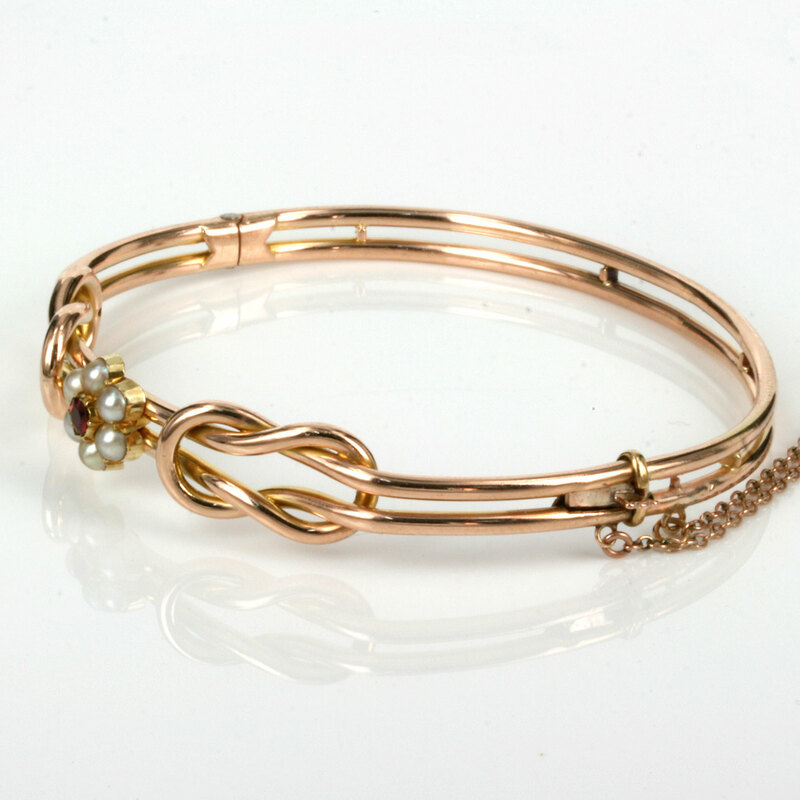 Dating from the early part of the 20th Century, this antique bangle was made in 15ct rose gold in a parallel band that has the most delightful and charming knot style design on each side. Even the way the bangle has this design is so charming in its own right, but then of course there is the ruby and pearl cluster in the centre. This cluster is made up of 6 pearls surrounding a ruby and the cluster itself measures 9.3mm in diameter. 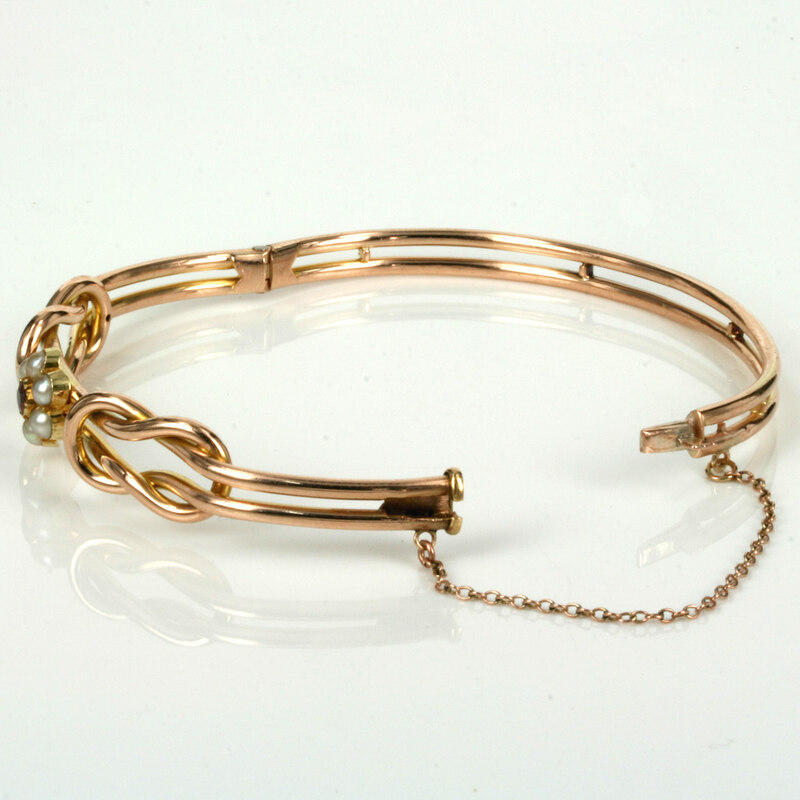 Being a hinged bangle allows this to sit elegantly on the wrist and is fitted with a safety chain for added piece of mind. On or off the wrist, day or night, there is no denying that this is a charming antique bangle that is so refined and elegant and will always be admired and loved.